I started off with two coats of China Glaze Intelligence, Integrity & Courage on my index and pinky fingers, and China Glaze White on White on my middle and ring fingers. I followed with one coat of SV. 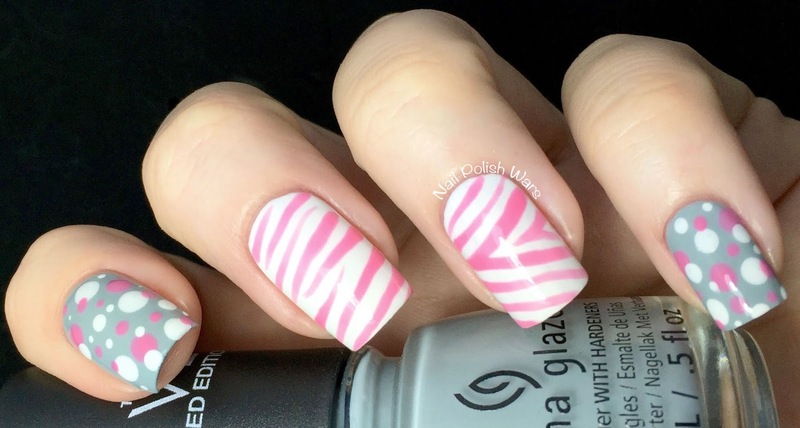 Using my Shany #17 striping polish, I added some thick zebra stripes over White on White. Then, I paired my dotting tools with the Shany and White on White over Intelligence, Integrity & Courage. I finished with one coat of SV. I love the end result. I'm so crazy about light pink and pale grey together!! 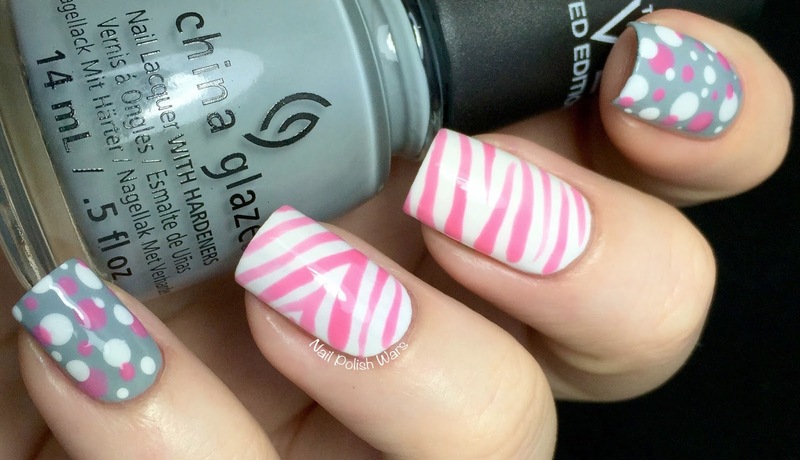 Such pretty soft zebra stripes those are!